Patrick was born in 1890. 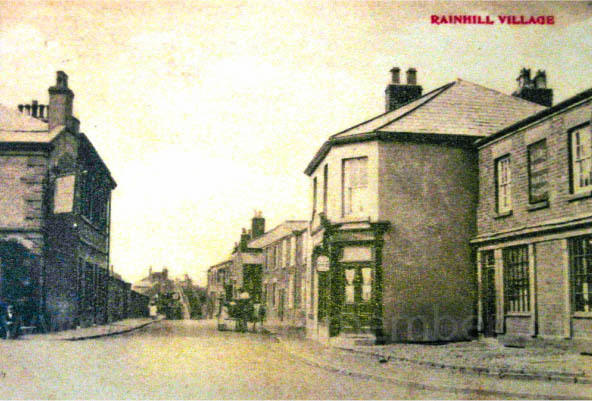 He may not have been a “Rainhill man”, but on his attestation papers his address is given as 7 Victoria Street, Rainhill. His next of kin was given as his father, also named Patrick of Cloontinbrid, Swinford, County Mayo. His occupation was that of a miner. The photograph below is taken looking down Victoria Street towards the railway line. The Victoria Hotel is on the left and the houses Patrick lived in are on the right. In January 1916 he enlisted into the South Lancashire Regiment and served until December 1918 when he was discharged as no longer fit for service after suffering gunshot wounds to ankle and shoulder. Army records “appear” to indicate amputation of right shoulder. At the time of his discharge, his address was given as 8, East Street, Prescot.